Brazil Paying Cuba Approximately US$479 Million Annually For Healthcare Workers (Who Are Taxed 75% By Cuba) — U.S. - Cuba Trade and Economic Council, Inc.
November 15, 2018 / U.S.-Cuba Trade and Economic Council, Inc. The government of the Federative Republic of Brazil reported that 11,420 Republic of Cuba nationals (physicians and nurses) are working within the country providing health services to areas lacking consistent quality healthcare. 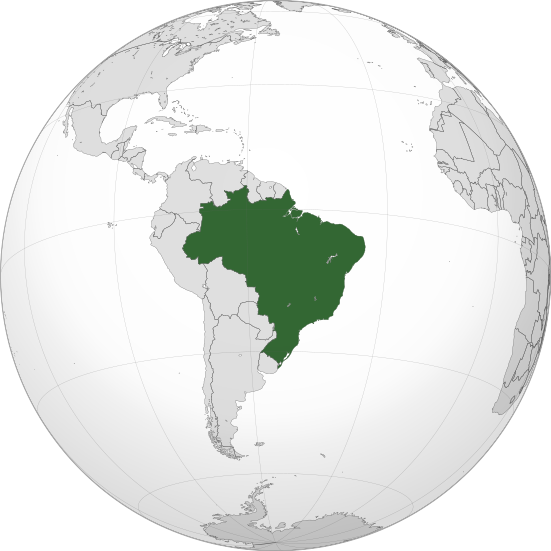 Reuters has reported that the “health ministry said in a statement that it had managed in three days to get 92 percent of the Brazilian doctors needed to replace the departing Cubans, signing up 25,901 physicians. More than 17,500 had been enlisted, while almost 8,000 had already been allocated to specific municipalities, the statement said.” There is also reporting that the number is 8,332 of which approximately 6,000 will be returning to the Republic of Cuba at the request of the government of the Republic of Cuba due to disputes with the government of the Federative Republic of Brazil relating to compensation terms and status of relatives of the healthcare professionals residing in the Federative Republic of Brazil. The government of Brazil reportedly pays the government of the Republic of Cuba approximately US$3,500.00 per month (US$42,000.00 annually) per healthcare professional. There is also reporting that the monthly payment is US$3,100.00 plus room and board. Using the US$3,500.00 value, on an annual basis, the government of Republic of Cuba reportedly receives US$479,640,000.00 of which it would retain approximately US$359,730,000.00. The healthcare professional reportedly retains US$900.00 per month (US$10,800.00 annually) and the government of the Republic of Cuba reportedly retains US$2,600.00 per month. The government of the Republic of Cuba retains 75% of each U.S. Dollar. The Supreme Accountability Office of Brazil was reported to confirm that a total of US$1.5 billion (US$260 million per year) was paid to the Republic of Cuba during the last five (5) years. Republic of Cuba nationals working as healthcare providers were paid a total of US$125 million during the five-year period; this equates to a compensation rate of 9.61%- meaning that the government of the Republic of Cuba retained 90.39% of the total funds paid by the government of Brazil to the Republic of Cuba. 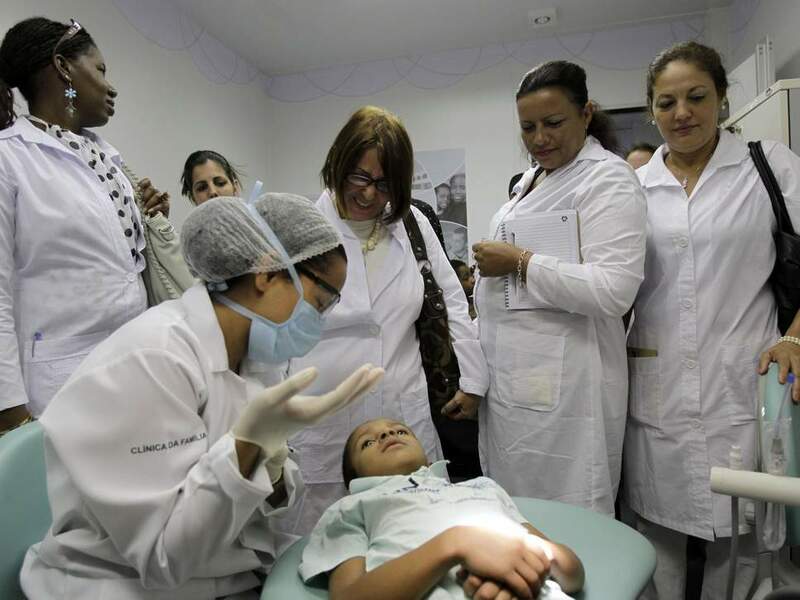 The government of the Republic of Cuba reportedly has approximately 21,000 to 37,000 to 50,000 healthcare professionals working within sixty-seven (67) to seventy-seven (77) countries; with the largest contingent, reported as 21,700, in Venezuela. According to the government of the Republic of Cuba, approximately 1,000 healthcare professionals work in Algeria as a component of a three-year 2.1 million barrels per day oil barter agreement. According to the government of the Republic of Cuba there are 450 healthcare professionals working in Qatar. If the 21,000 to 37,000 to 50,000 healthcare professionals are invoiced at US$42,000.00 on an annual basis, the government of the Republic of Cuba would receive approximately US$882 million to US$1.554 billion to US$2.1 billion on an annual basis, of which it would retain approximately US$661.5 million to US$1.165 billion to US$1.575 billion. According to Republic of Cuba government-operated Prensa Latina news agency, the Ministry of Public Health of the Republic of Cuba (MINSAP) reported for the five-year duration of the program that “nearly 20,000 Cuban collaborators attended to some 113 million people in more than 3,600 municipalities, according to official statistics.” Using this data, the Republic of Cuba could have received a total of approximately US$4.2 billion from the five-year duration of the program.